This padded blanket is perfect for all events! Use a blanket or zip it together to make a comfortable seat. Made of 600d polyester, 100% acrylic plaid. Padded blanket with colorful plaid interior, front slash pocket. 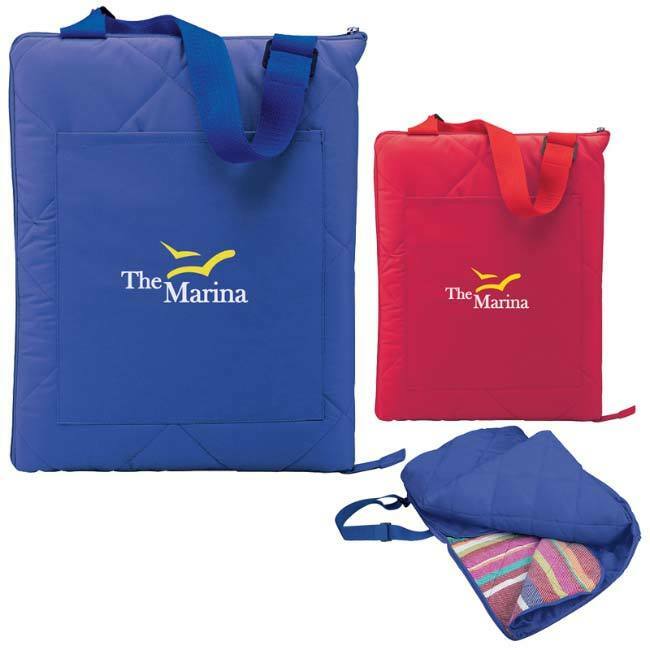 Folds and zips together with an adjustable carrying strap for convenient transporting. Prices may vary.